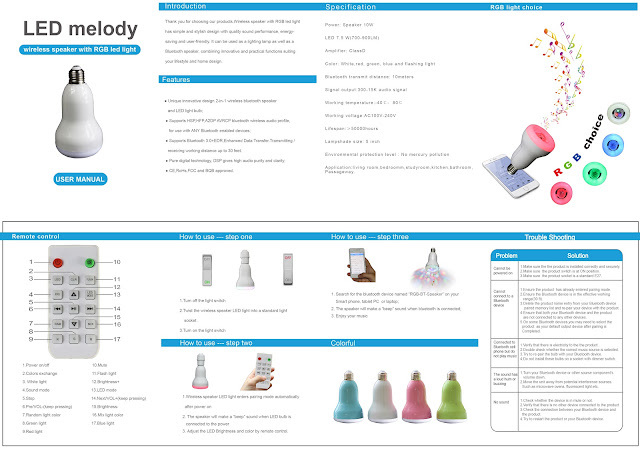 If you need MIPOW lamp, please let us know, we can provide it for you. 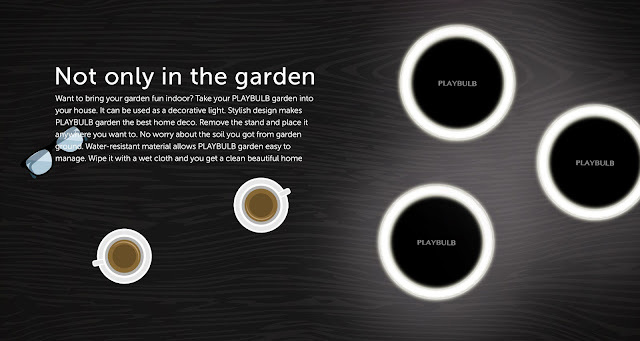 Enjoy a unique aromatic moment brought by the embedded lavender chip. 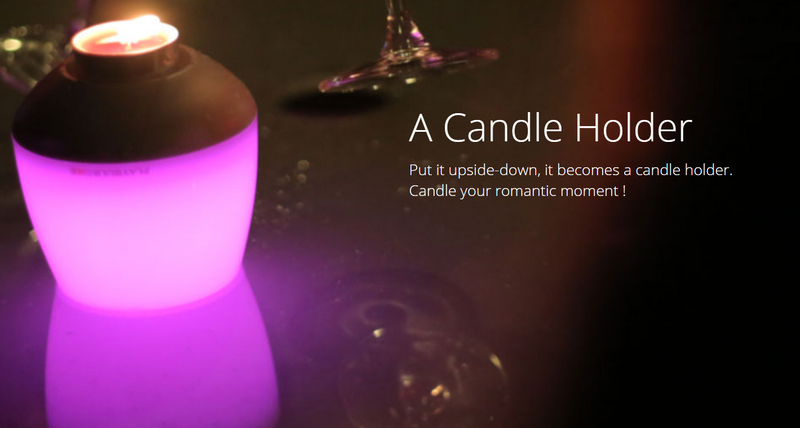 The built-in smart sensor allows you to blow on and out like a real candle. 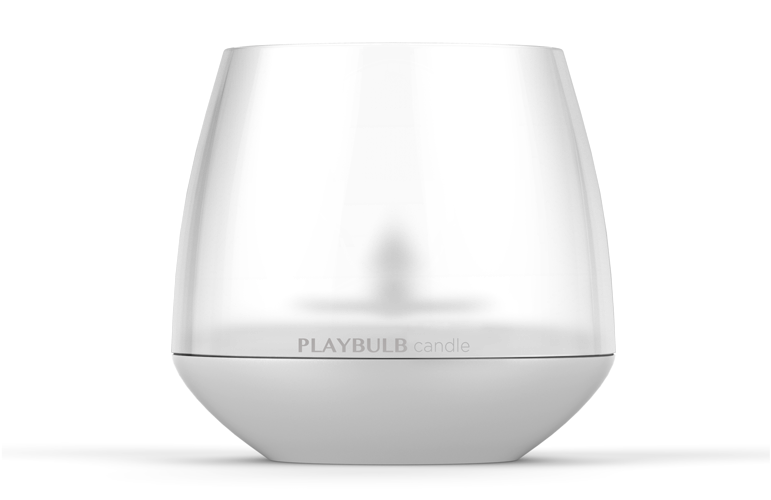 PLAYBULB candle is smart and fun. 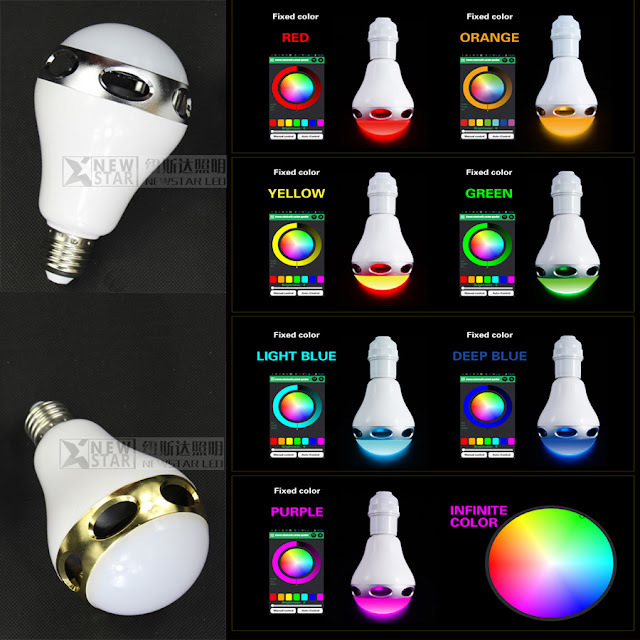 Iluminación y sonido en un único dispositivo. Basta colocarlo en el casquillo, conectarlo mediante Bluetooth al móvil u otro dispositivo y la estancia quedará completamente ambientada en ambos aspectos. Se trata de PlayBulb, un nuevo tipo de bombilla LED de fabricación belga que satisfará por igual las necesidades de iluminación y no supondrá un obstáculo estético a quienes no les guste ver la estética distorsionada por unos altavoces. 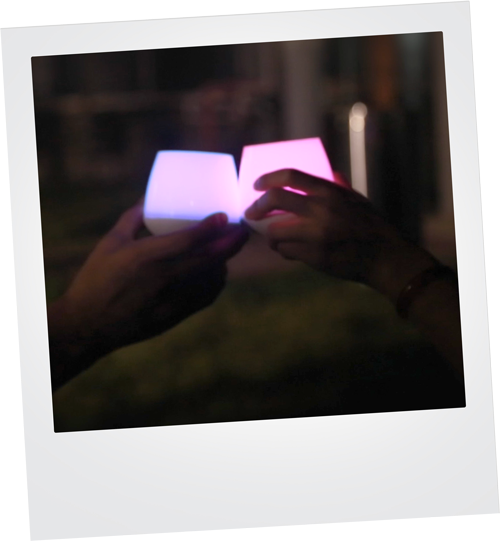 Combinación con doble propósito es lo que propone el fabricante de Mipow, al aunar bombilla LED y altavoz inalámbrico a través de Bluetooth en un sólo objeto. La tradicional bombilla queda en el olvido en los últimos tiempos gracias a la tecnología LED lo que permite aprovechar la menor necesidad de espacio para aumentar las prestaciones, como en este caso, integrando un altavoz en la estructura. 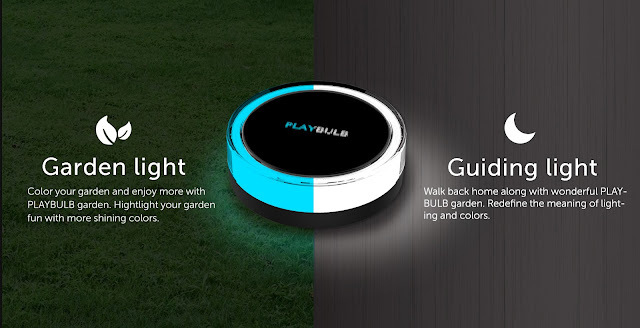 La alimentación eléctrica queda solucionada, evidentemente, al obtener la energía del propio casquillo y ya sólo quedará sincronizar con el móvil, tablet, ordenador o equipo de música emisor del sonido que llegará de manera inalámbrica a través de Bluetooth. El PlayBulb es ​​una bombilla LED con altavoz Bluetooth integrado, quecombina luz y música en un mismo ambiente y controlarlas desde nuestro dispositivo móvil. 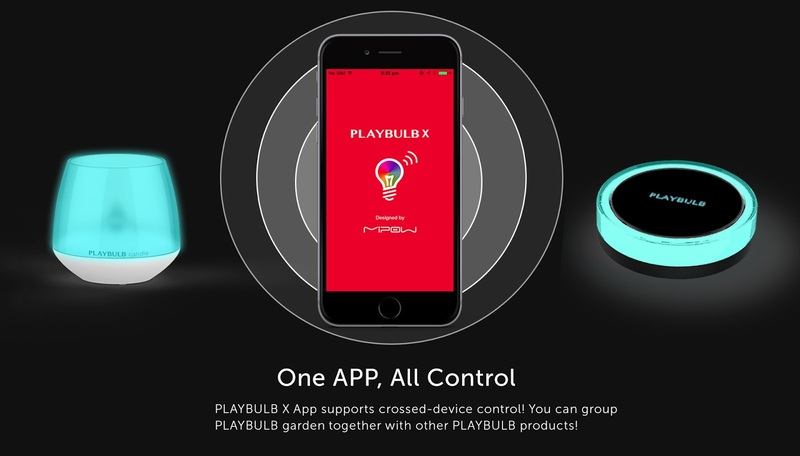 La PlayBulb es un dispositivo inteligente luminoso habilitado de conexiones inalámbricas y el altavoz es ideal para dormitorios de estudiantes, apartamentos o en la casa. 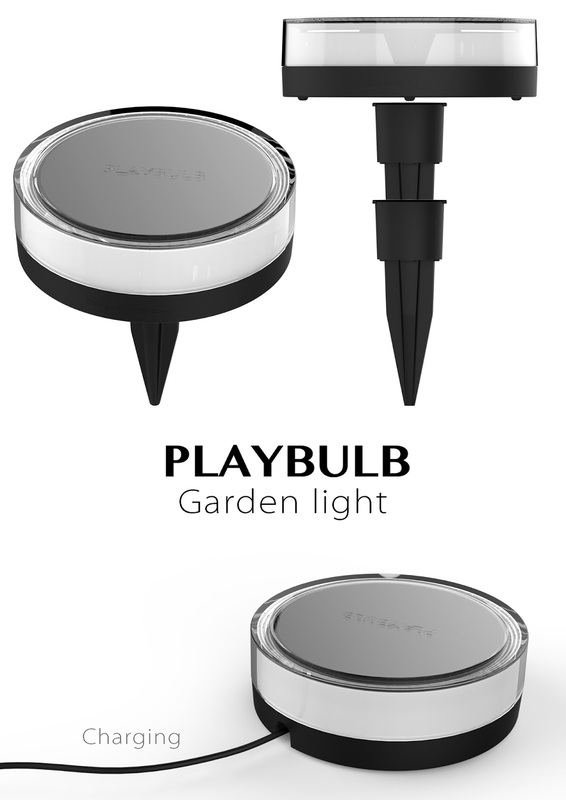 Con el dock incluido podremos escuchar escuchar la música, de forma inalámbrica, hasta en 8 lámparas (colocando un dispositivo Audio Bulb en cada una de ellas), pudiendo crear un ambiente musical óptimo tanto en el hogar como en la oficina. Compatible con los casquillos de tipo E27, B22, eTiger puede controlarse a distancia, tanto para las funciones de iluminación como para subir o bajar el volumen del sonido, desde un pequeño mando a distancia (con 1o metros de alcance) además de a través de los propios dispositivos móviles. En cuanto a la capacidad para romper la oscuridad, ofrece una luminosidad equivalente al de una bombilla incandescente de 60 W y en cuanto a sonido ofrece una potencia de salida de 10W. 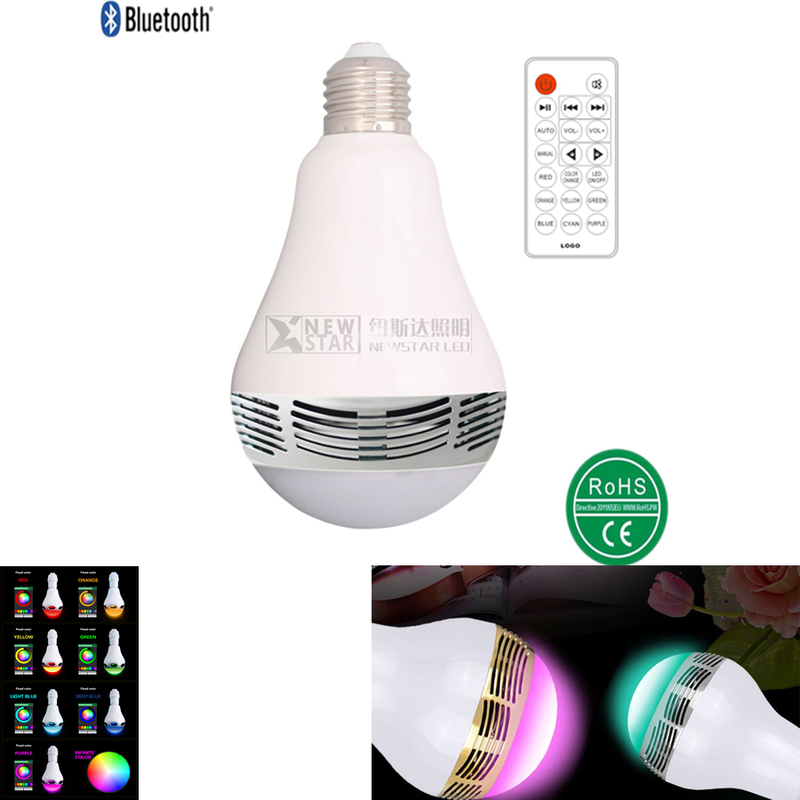 Ahora se puede comprar todo tipo de bombilla LED Bluetooth desde NEWSTAR LED, más barato y mejor. 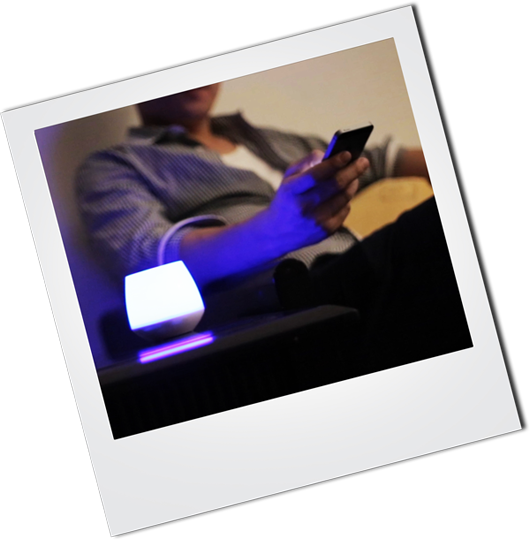 Cómo utilizar APP Bluetooth Music Bombilla LED altavoz? 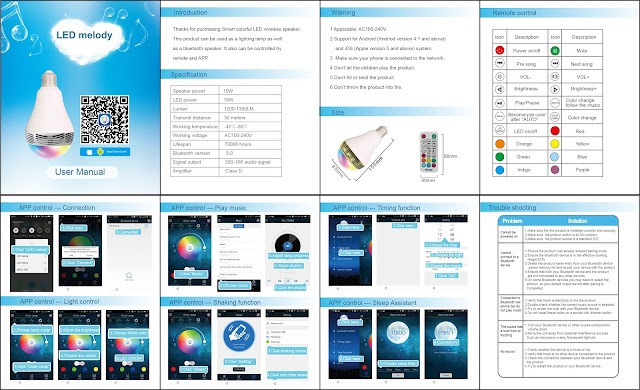 More details about the APP Bluetooth Music LED Bulb Speaker. 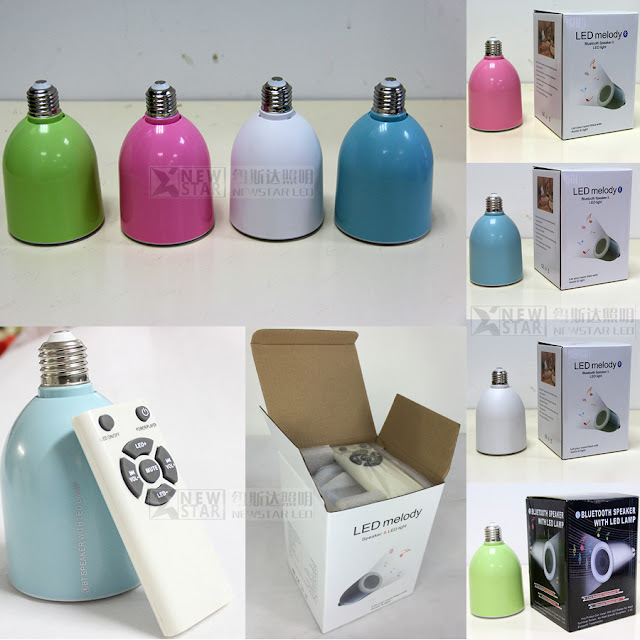 Type: Bluetooth bulb speaker Color option: Pink,Blue,Green,White. •Enjoy music anytime any where. •Adjust the brightness and volume with remote controler ,wireless and easy. 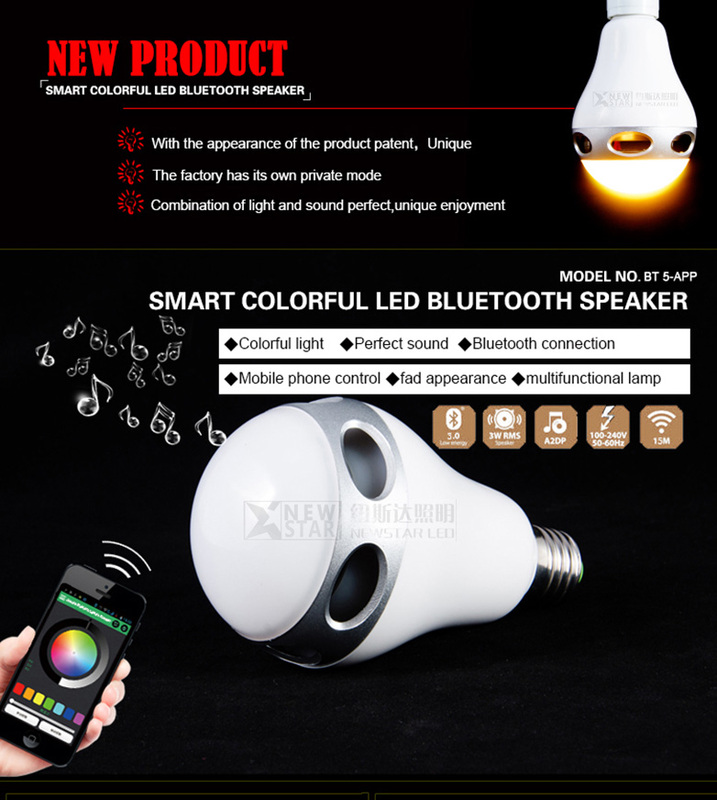 •Color choice, excellent workmanship.Special wireless bluetooth speaker and LED Lamp. 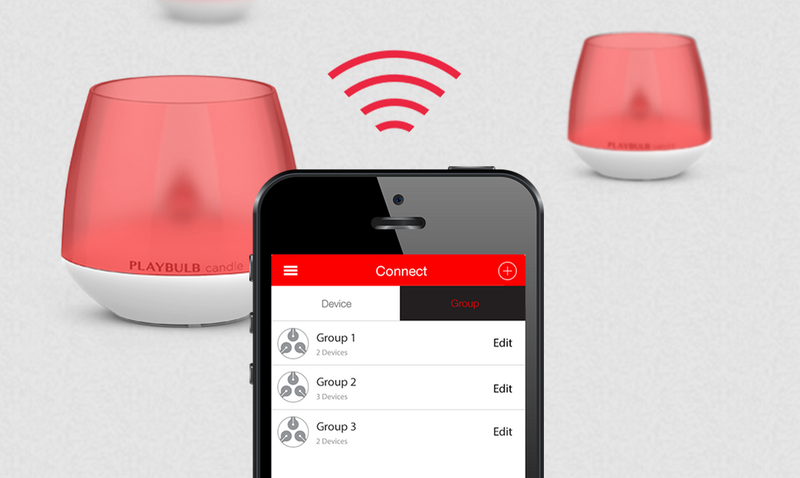 •Both light brightness and music volume are adjustable. 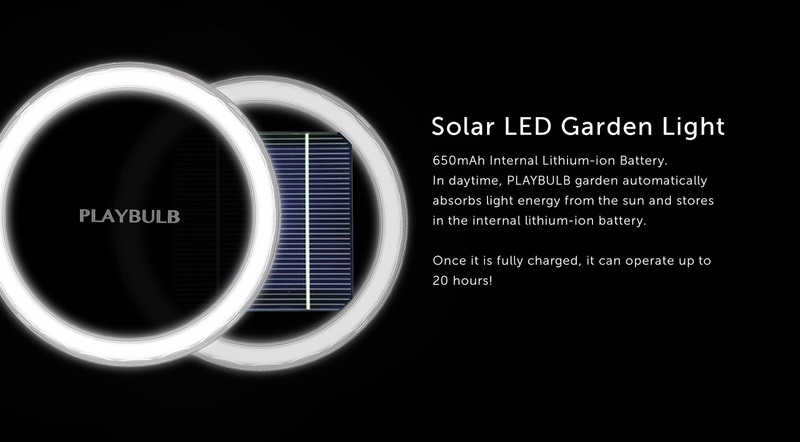 •High brightness and low power consumption. 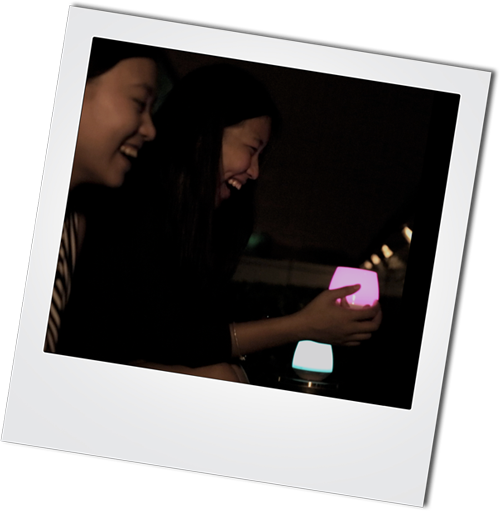 1.Used as lamp, either mounted on the ceiling, but also as wall lamp. 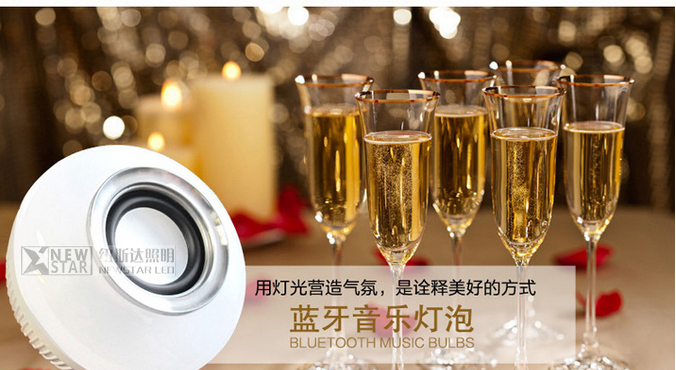 Ground, connected to 85-265V household power, links to your Bluetooth phone, you can enjoy the wonderful music. 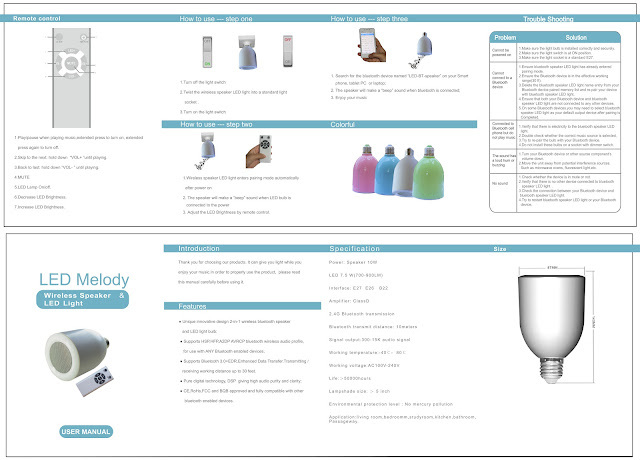 3.Room, den, living room, kitchen, dining room, bathroom, balcony, gym,hotels etc. 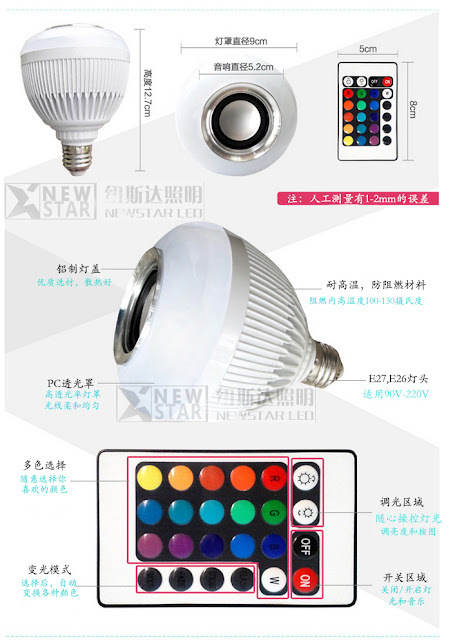 you can choose RGB color, also can choose any kinds white color, such as warm white, natural white, pure white, 2700-6500k can be controlled. 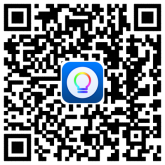 It is very suitable for home smart lighting. 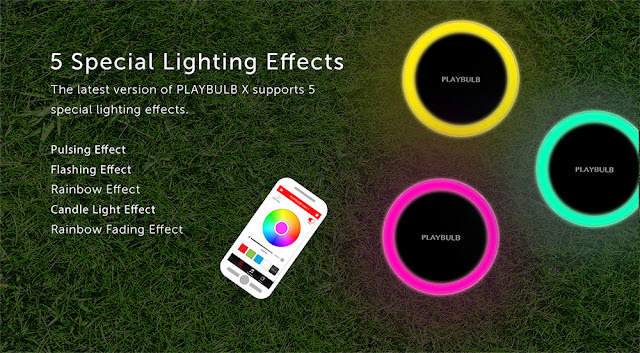 we can do rgb+cct adjustable led strip if you need, also control via bluetooth. 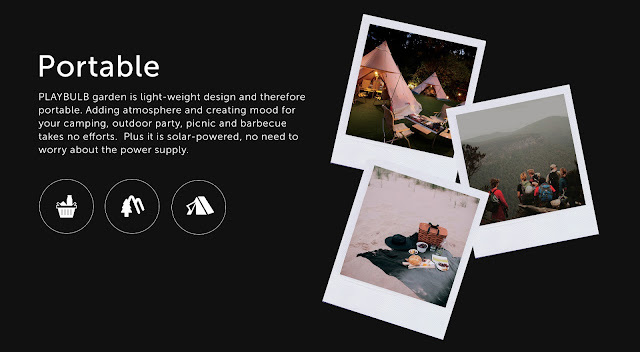 I find that the measure of a good Instructable is the ideas that it inspires, which is why I enjoyed Instructable titled "Give Your Bed Under glow!" 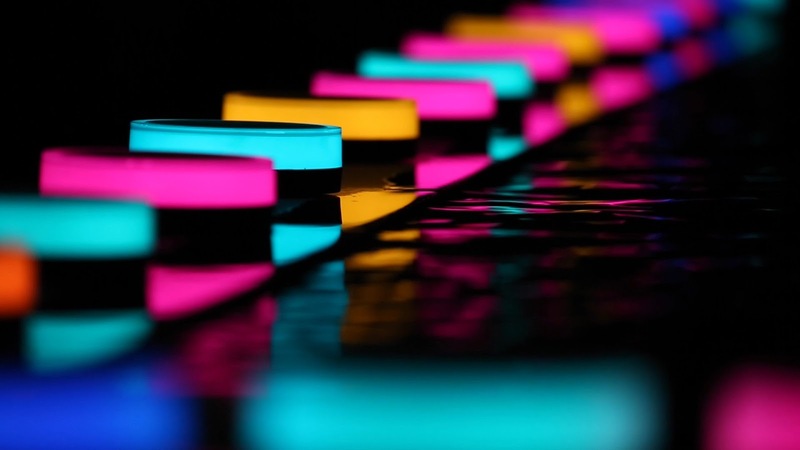 I never would have thought of adding an LED strip to the bottom of a bed otherwise, and I immediately wanted to do this for my kids. I wanted to go a bit beyond what did and add the ability to have the lights turn on when needed and off again after a period of inactivity, so I decided to try my hand at hacking the LED strip to do just that. 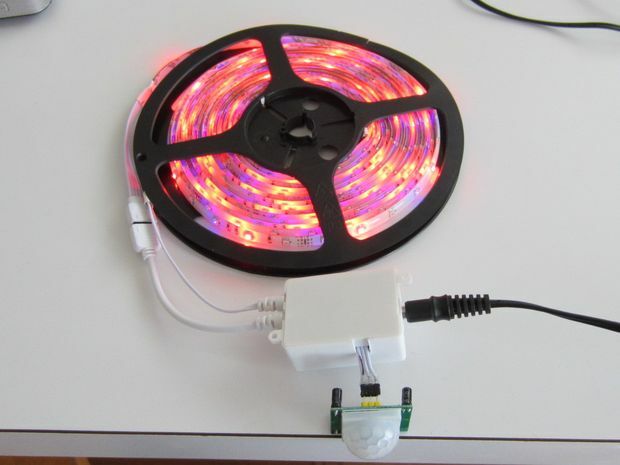 This instructable will show you how I went about hacking my LED strip to add a microcontroller and motion sensor. 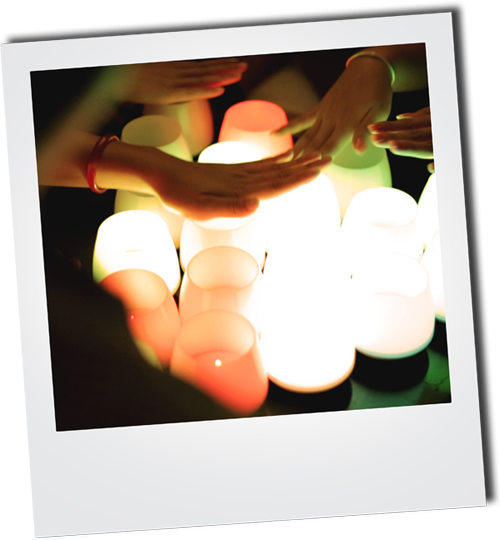 Hopefully the ideas you find here will serve as a launching point for your own ideas and improvements.. 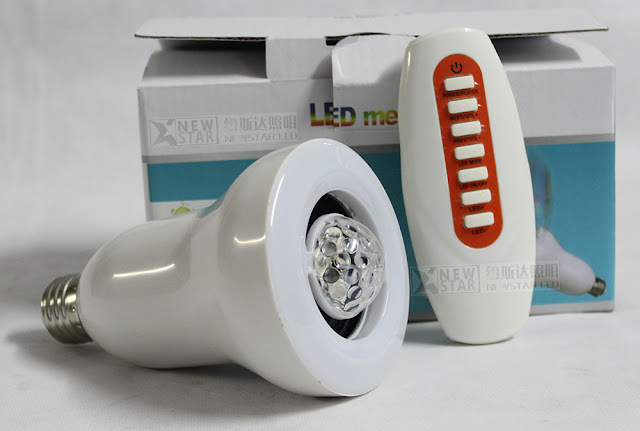 The LED strip I purchased (found here: http://www.newstarleds.com/products-177.html) came with an LED controller and remote control, which I think is quite common. Build an entirely new control circuit. 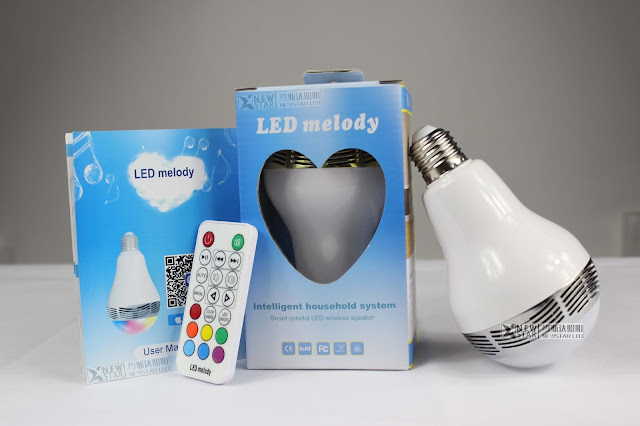 This would require integrating the remote control receiver into the new microcontroller, reverse engineering the remote protocol, adding MOSFETs to control power to each of the LED channels (and, probably, a MOSFET control chip), and programming the light values and patterns into the microcontroller. 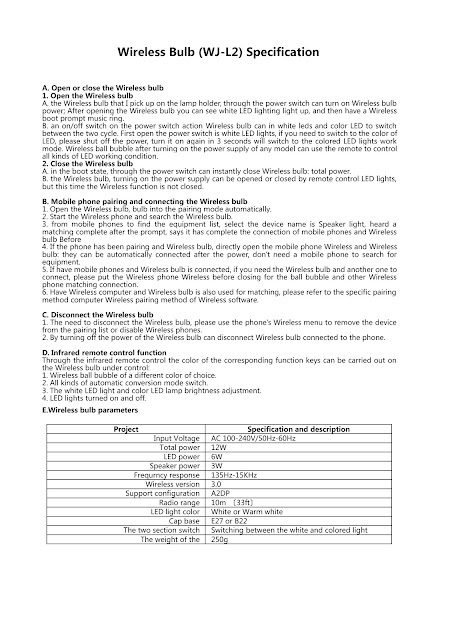 Wire the microcontroller into the existing circuitry. This is the approach I took for this Instructable. and will be described below. Somehow the circuit needs to be modified to allow the microcontroller to control the power supplied to the logic portion of the LED controller circuit board. A quick look at the LED controller circuit board shows that there are two black ICs. The upper IC in the pictures is the brains of the controller. 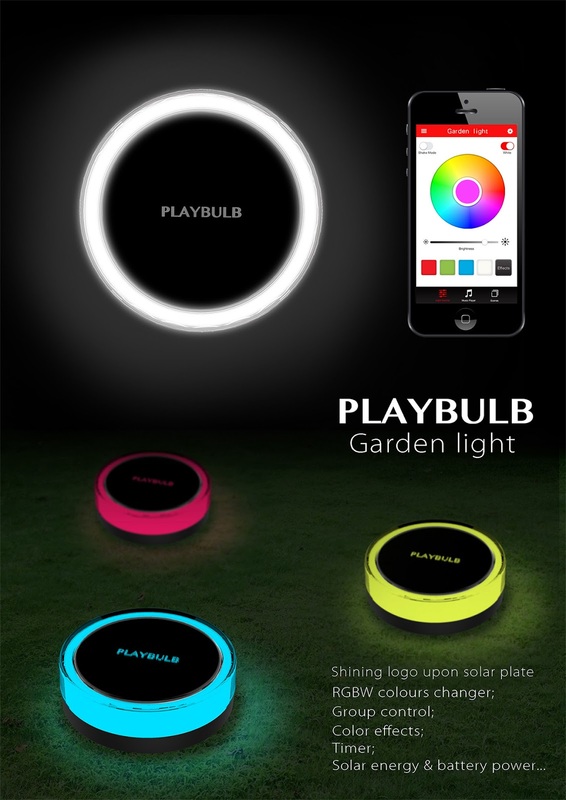 It changes the LED color, does pulse-width modulation (PWM), and controls the light patterns. I'm guessing that the lower IC is a MOSFET control chip, which turns power on and off to each of the LED power lines (I could be wrong about this, however). There's also a ground plane (highlighted red in the third picture), a +12 volt power rail, and a +4.7 volt power rail (highlighted in blue). There are several potential solder points (highlighted in yellow). The LED controller accepts commands from the remote control, allowing the LED colors to be set and for different display patterns to be selected. 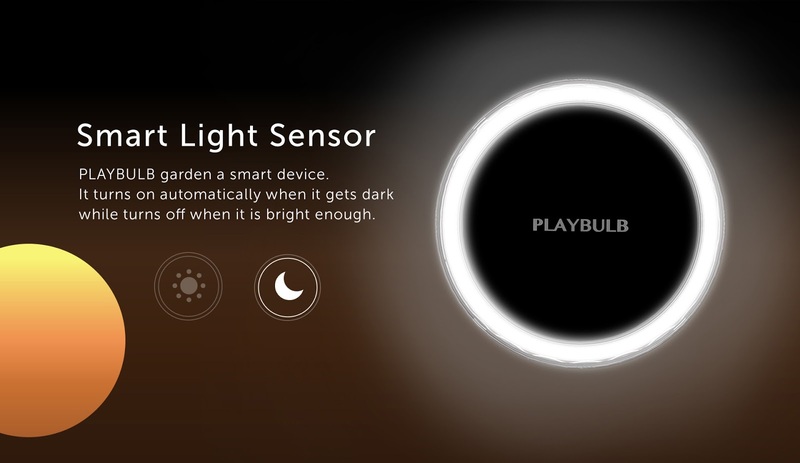 The controller is able to remember the LED settings when power is removed and reapplied, which will be very helpful. I measured the current being drawn by the two ICs at about 1 mA, which is well within the current sourcing abilities of most microcontrollers, so a transistor or MOSFET will not be needed and the ICs can be powered directly from the microprocessor. All that is required, then, is to disconnect the two ICs from the +4.7 volt power rail (by cutting the circuit board trace at the black line), tie the microcontroller to +4.7 volts and ground, and connect one of the microcontroller pins to the power pins of the two ICs on the LED controller circuit, so that the microcontroller can power the ICs at will. 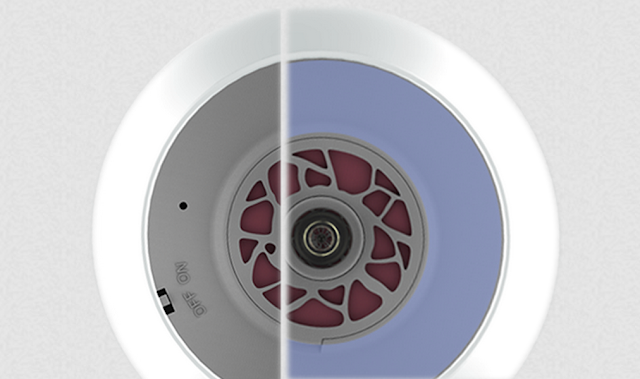 A simple and cheap PIR motion sensor can be easily connected to the microcontroller to detect motion, and the microcontroller can easily be programmed to timeout after a specific period of time. 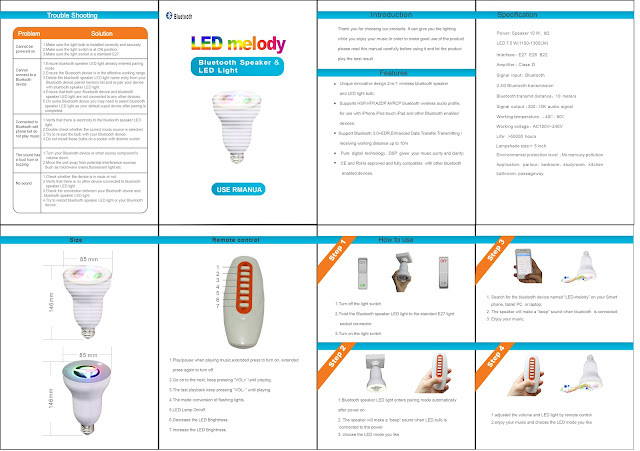 Next: Do you want to know more details about the LED Strip light?